Updated: 10/27/2015. Since I rode this in 2014, the road has been paved another 1.6 miles. In 2014 I parked at Webb Road; now you park at Campo Bonito Road. This makes the ride a 46 mile out-and-back ride. I’ve updated the various distances but not the profile. Single track this is not. But if you enjoy riding long miles on dirt roads with thousands of feet of climbing, with big skies and amazing views, this is the ride for you. 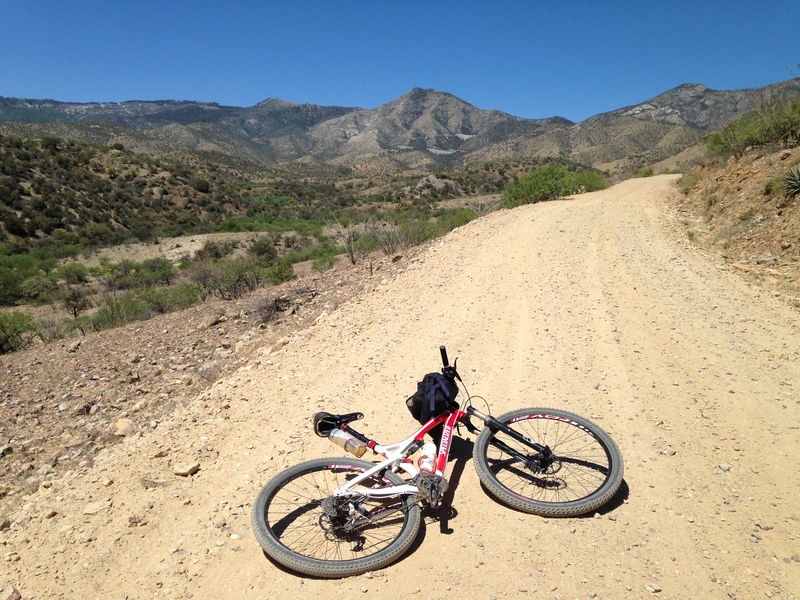 The Control Road is probably the best ride of its kind in the Tucson area. There are about 6,000 feet of climbing on this ride – 4,700 feet on the way up and 1,300 feet on the way back. Drive up Oracle Road (Highway 77) to the town of Oracle. From the turnoff drive 2.4 miles through Oracle. At the Oracle Market, turn right onto the road that is signed to Mt Lemmon. In another 4.8 miles the pavement ends at Campo Bonito Road and a sign pointing to Triangle Y Ranch. Turn left and park in the dirt parking area. Ride southwards on the Control Road (FR 38), a mainly smooth, wide dirt road. After Peppersauce Campground the road gets narrower and a bit rougher. Just when you think you are making good upwards progress you will be faced with two surprisingly long downhills. Remember that you will have to climb them on the way back. After the second long downhill the road heads more rightwards towards Mt Lemmon. As you climb, the views both upwards and downwards become more and more impressive. Eventually, after lots of climbing you enter the trees and the views disappear. After many more switchbacks you finally reach the Catalina Highway, just above Summerhaven. 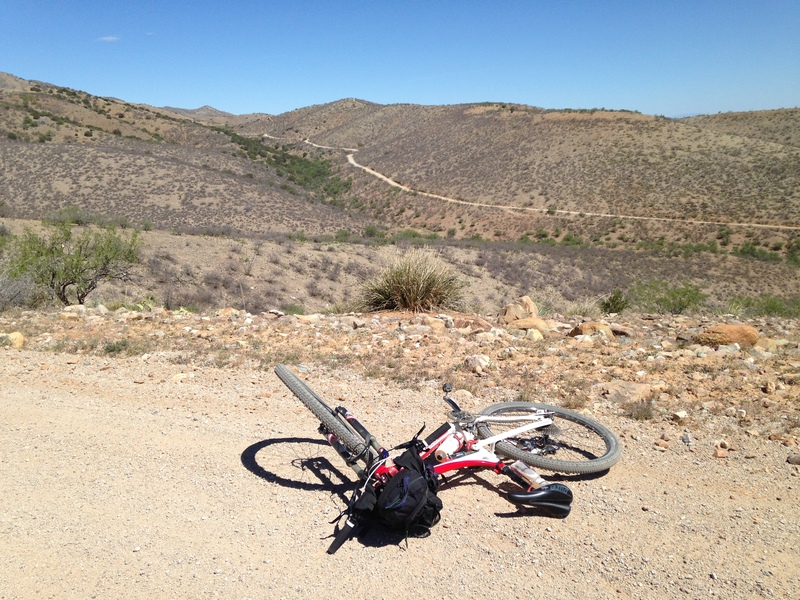 From here you can ride on pavement to the top of Mt Lemmon if you choose – about a 7 mile round trip. When you are ready, turn around and ride back down the Control Road, all the while looking forward to the two big downhills you now have to climb. Instead of driving up to Oracle, you can do a long loop that includes this climb.